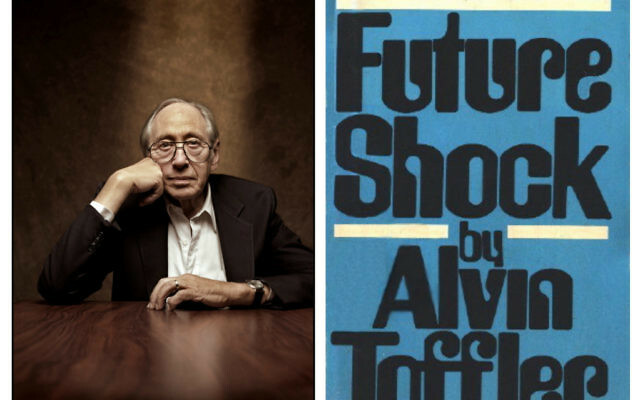 Post-industrial age guru Alvin Toffler, whose million-selling Future Shock and other books anticipated the disruption and transformation brought about by the rise of digital technology, has died at 87. He died in his sleep on Monday at his home in the Bel Air neighbourhood of Los Angeles, said Yvonne Merkel, a spokeswoman for his Reston, Virginia-based consulting firm Toffler Associates. Mr Toffler, one of the world’s most famous “futurists” who is credited as the source of the expression “information overload”, was far from alone in seeing the economy shift from manufacturing and mass production to a computerised and information-based model. But few were more effective at popularising the concept, predicting the effects and assuring the public that the traumatic upheavals of modern times were part of a larger and more hopeful story. Mr Toffler, was born in New York City to Jewish Polish immigrants. A graduate of New York University, he was a Marxist and union activist in his youth and continued to question the fundamentals of the market economy long after his politics moderated. He knew the industrial life first hand through his years as a factory worker in Ohio. Future Shock, a term he first used in a 1965 magazine article, was how he defined the growing feeling of anxiety brought on by the sense that life was changing at a bewildering and ever-accelerating pace. His book combined an understanding tone and page-turning urgency as he diagnosed contemporary trends and headlines, from war protests to the rising divorce rate, as symptoms of a historical cycle overturning every facet of life. “We must search out totally new ways to anchor ourselves, for all the old roots – religion, nation, community, family, or profession – are now shaking under the hurricane impact of the accelerative thrust,” he wrote. Mr Toffler offered a wide range of predictions and prescriptions, some more accurate than others. He forecast “a new frontier spirit” that could well lead to underwater communities, “artificial cities beneath the waves” and also anticipated the founding of space colonies – a concept that fascinated Toffler admirer Newt Gingrich, the former House of Representatives speaker and US presidential candidate. In Future Shock, released in 1970, Mr Toffler also presumed that the rising general prosperity of the 1960s would continue indefinitely. But Mr Toffler attracted millions of followers, including many in the business community, and the book’s title became part of the general culture. Curtis Mayfield and Herbie Hancock were among the musicians who wrote songs called Future Shock and the book influenced such science fiction novels as John Brunner’s The Shockwave Rider. More recently, Samantha Bee hosted a recurring Future Shock segment on Comedy Central. In the decades following Future Shock, he wrote such books as Powershift and The Adaptive Corporation, lectured worldwide, taught at several schools and met everyone from Soviet leader Mikhail Gorbachev to network executives and military officials. China cited him along with Franklin Roosevelt, Bill Gates and others as the Westerners who most influenced the country even as communist officials censored his work. In 2002, the management consultant organisation Accenture ranked him eighth on its list of the top 50 business intellectuals. “I got a realistic picture of how things really are made – the energy, love and rage that are poured into ordinary things we take for granted,” he later wrote. He had dreamed of being the next John Steinbeck, but found his talents were better suited for journalism. He wrote for the pro-union publication Labor’s Daily and in the 1950s was hired by Fortune magazine to be its labor columnist. 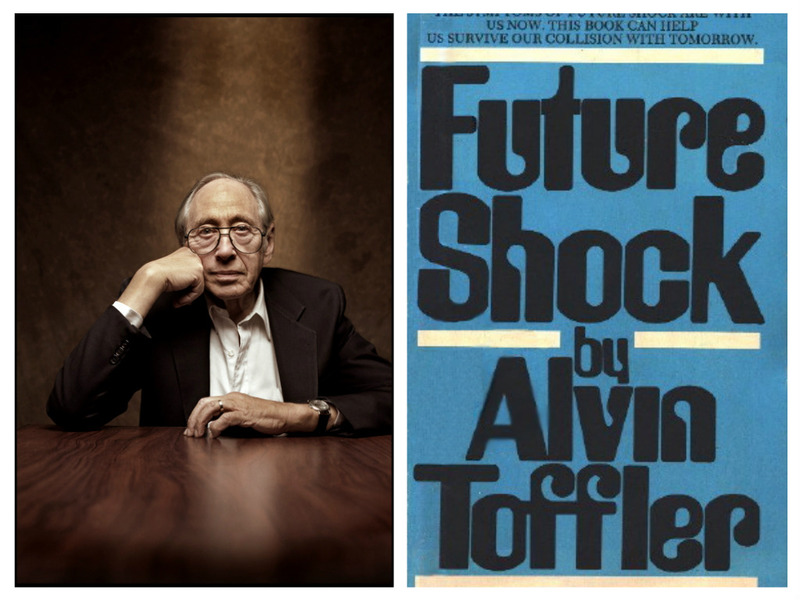 The origins of Future Shock began in the 1960s when Mr Toffler worked as a researcher for IBM and other technology companies.